Giulio Gabeli closed the launch event by leading a powerful time of prayer. 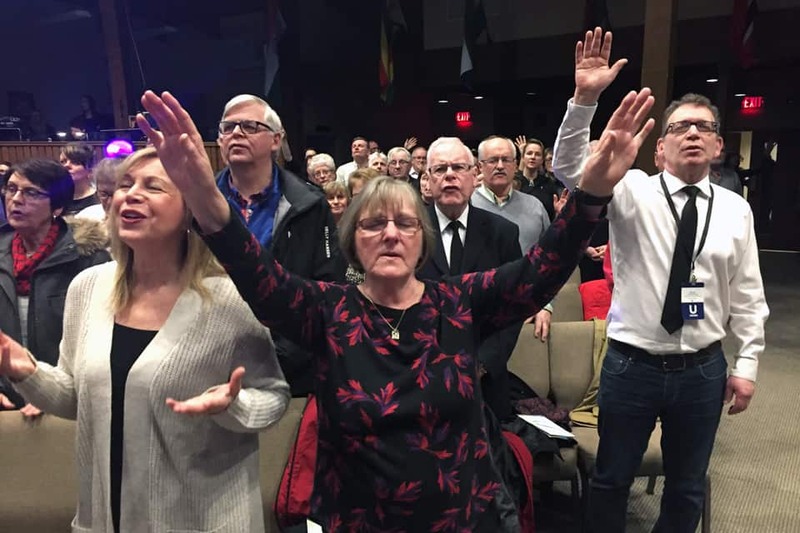 From black-light performers to powerful worship music and passionate exhortations from visiting pastors—more than 430 Christians were encouraged and inspired at the launch of the Billy Graham Evangelistic Association of Canada’s Avalon Celebration of Hope with Will Graham. “The Lord is giving the church here (in Newfoundland) an opportunity to speak with one voice and present a clear message of hope,” said Giulio Gabeli, lead pastor of Westwood Community Church in Vancouver, who served as executive team leader of BGEA of Canada’s 2017 Greater Vancouver Festival of Hope. “You’re going to have to pray because you’ll find the prince of darkness doesn’t like it when churches come together to proclaim the Gospel,” he added. 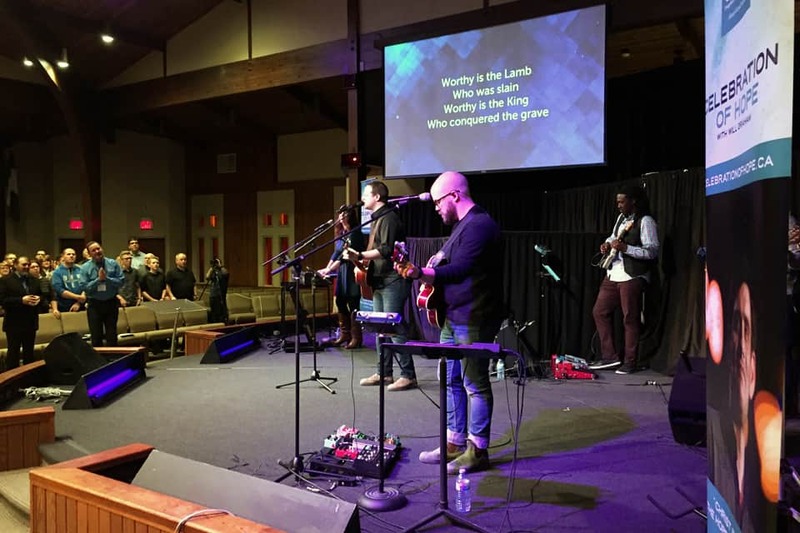 Matt Carroll, Kathy Stock, and Justin Parsons led worship at the launch event. 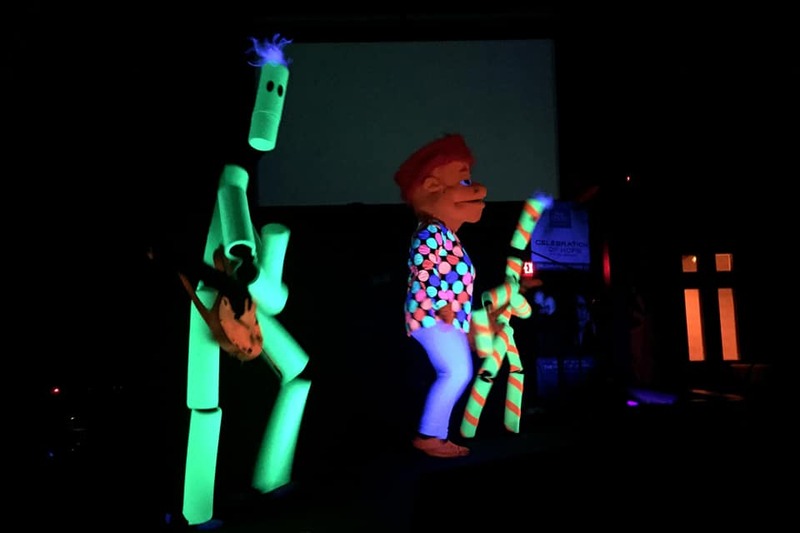 A local worship team supplied music for the launch event, which took place in St. John’s, and the Avodah Creative Arts Ministry Team performed a black-light puppetry routine. Kevin Cavanaugh, another visiting pastor who was part of the Vancouver Festival team, encouraged Avalon Christians to put their best effort to make the Celebration a success. You can learn more about the Celebration—including how to support this vital ministry with your donations and prayers—by visiting CelebrationOfHope.ca. Please tell any Christian friends you have in the St. John’s region about the Celebration and encourage them and their churches to participate. Lives are at stake, and through the Celebration God can and will bring many into His Kingdom. 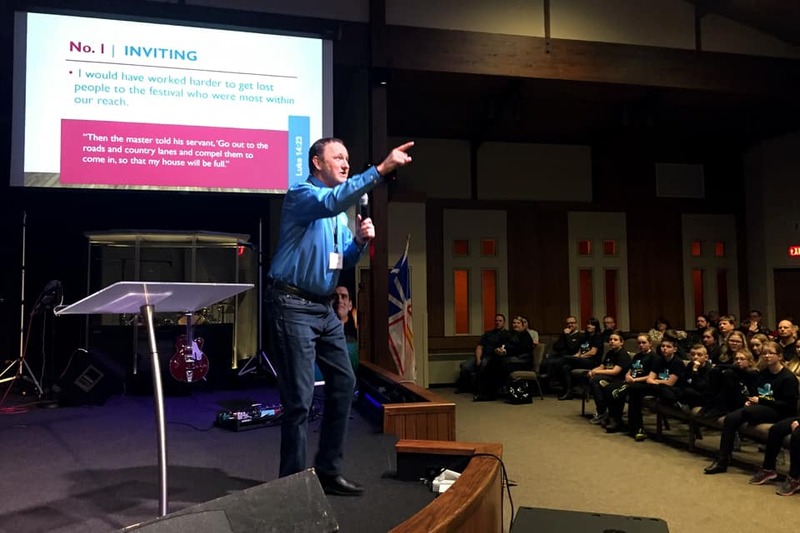 Kevin Cavanaugh, a pastor from Cedar Grove Church in Surrey, BC, encouraged and inspired Avalon Christians. 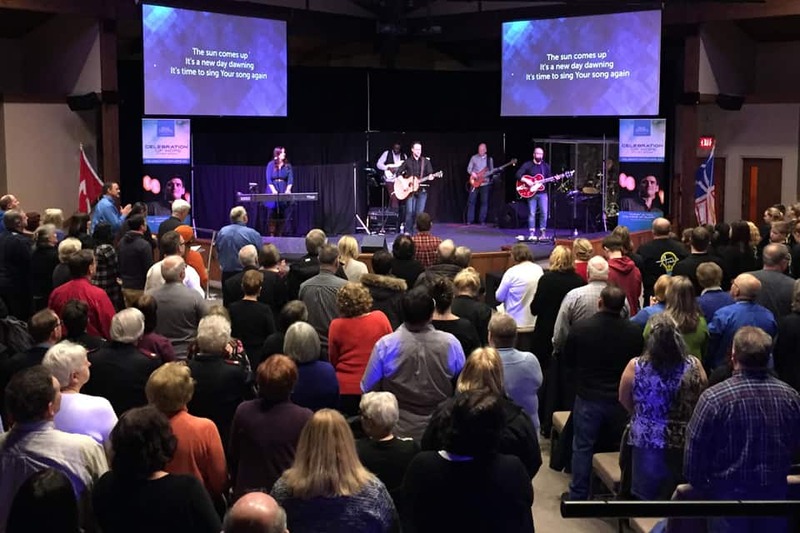 We praise God for the 434 people who attended to the Avalon Celebration of Hope launch event.